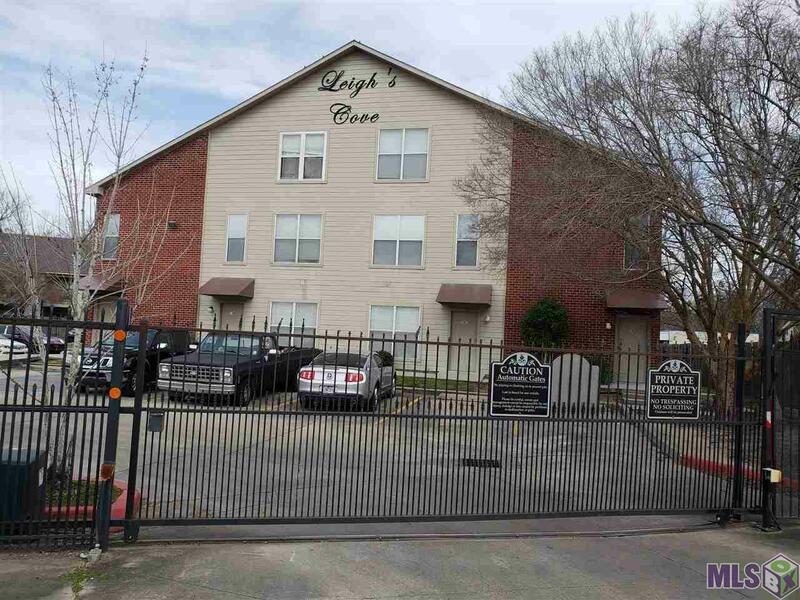 LOCATION, popular Leigh's Cove Condos, GATED condo near LSU! 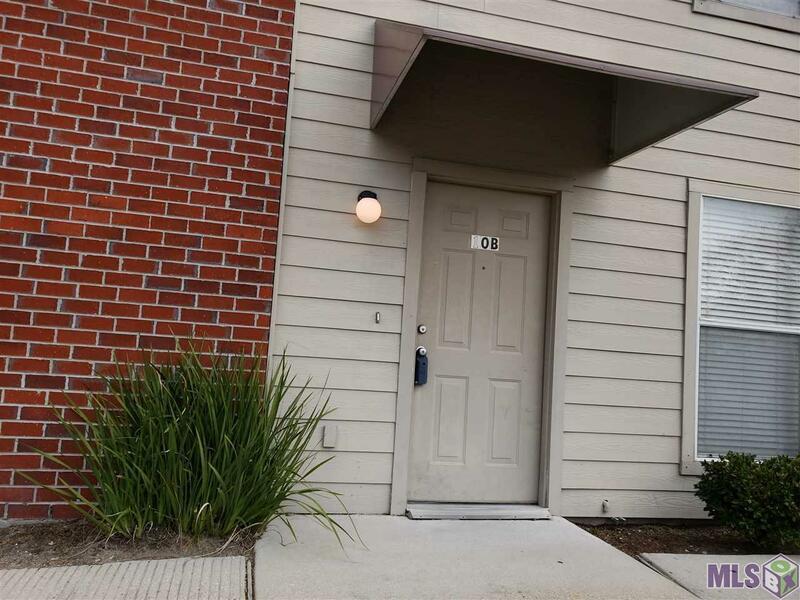 Condo is in the front building, steps to gate and LSU bus line right outside! Available for occupancy May 1, 2019!! 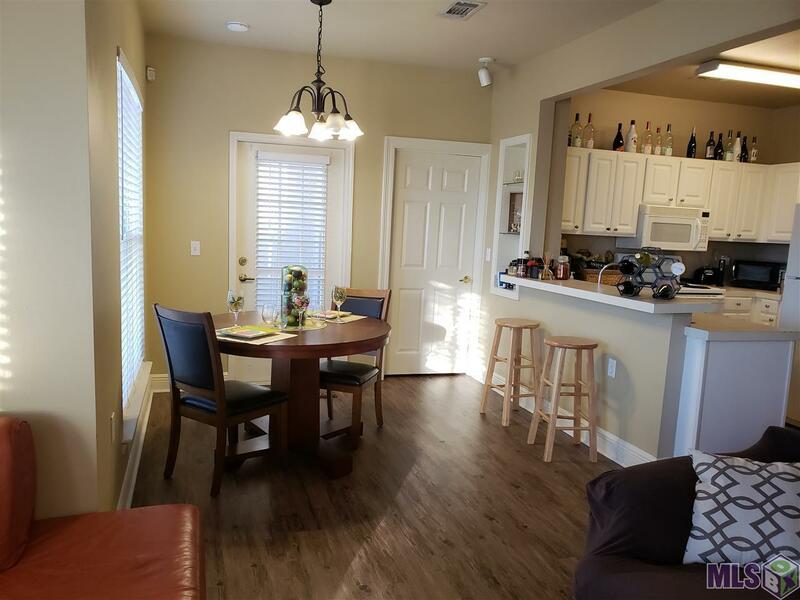 Fantastic downstairs unit with updated wood-look vinyl plank flooring in living room, dining, foyer, bedrooms, NO CARPET, move in ready! Tile flooring in kitchen and bathrooms. Each bedroom has it's own bathroom and walk in closet, nice sized bedrooms! Very open floorplan, bar in kitchen and nice breakfast area, open to living room with electric fireplace, private patio. Newer AC- 2017 with warranty. 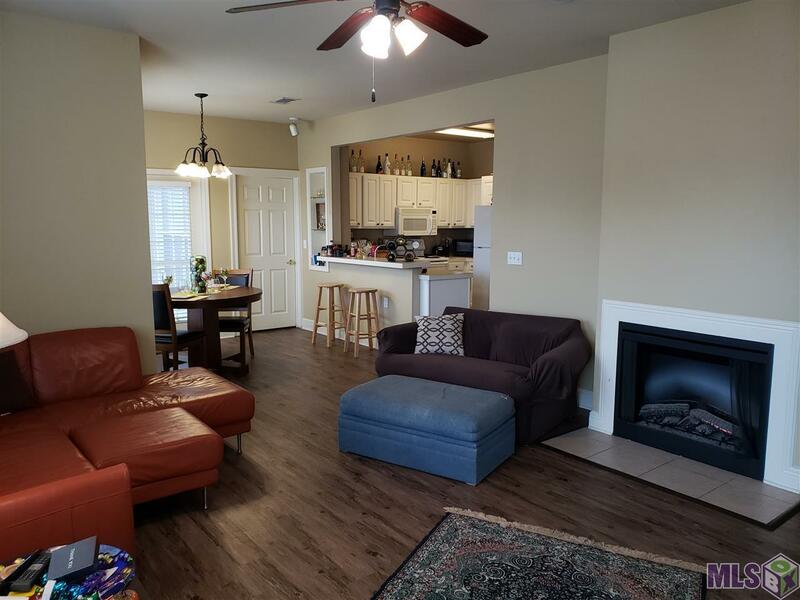 Community pool and sidewalks, green space, walk to lots of cool restaurants and shopping(across the street from Mike Anderson's), minutes to LSU! Washer, dryer, refrigerator, blinds remain! Front location, lots of parking right outside. Great condo, won't last! Interior Built-In Bookcases Cable Ready Ceiling 9'+ Ceiling Fans Elec Dryer Con Elec Stove Con Elec Wash Con Sm Window Trtmt.